Congratulations to the 2017 UC Master Gardener Search for Excellence winners! UC Master Gardener Programs in Los Angeles, Orange and Marin counties are the top three winners of the Search for Excellence competition. The triennial Search for Excellence coincides with the 2017 UC Master Gardener Conference taking place Aug. 22-25 in Long Beach, Calif. The three winners were selected from a field of 27 outstanding entries, representing counties from throughout the state. The overall high quality of the projects submitted for review demonstrate the commitment that UC Master Gardener volunteers have to fulfilling our mission to extend UC research-based knowledge and information on home horticulture, pest management, and sustainable landscape practices to the residents of California. Congratulations to all that participated! UC Master Gardener staff and volunteers in Los Angeles County noticed that the UC Master Gardener helpline was receiving more calls from beginning vegetable gardeners, reflecting a new trend documented by the National Gardening Association. In response to this trend the Grow LA Victory Garden Initiative was created to meet the needs of beginning vegetable gardeners. 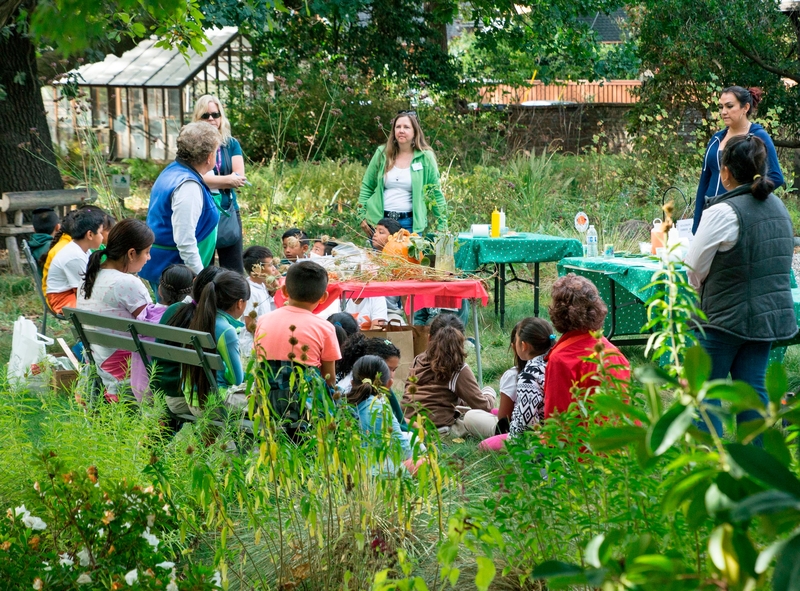 Using a curriculum developed by staff, UC Master Gardener volunteers lead the four-session workshop series at community sites including libraries and schools. First piloted in 2010, the Grow LA Victory Garden Initiative became popular with volunteers and participants alike. UC Master Gardeners lead more than 20 series annually. To date, more than one hundred UC Master Gardener volunteers have led or assisted 229 four-week classes at 40 community partner sites. This project has reached 3,140 participants to date. UC Master Gardeners of Orange County host a weekly radio show on a multitude of garden-related topics targeted at the general public. The goal of the show is to distribute UC research based gardening, pest control, and water use best practices in an entertaining, season appropriate and informative manner. In the Garden with UC Master Gardeners reaches a population of more than 1.5 million people. 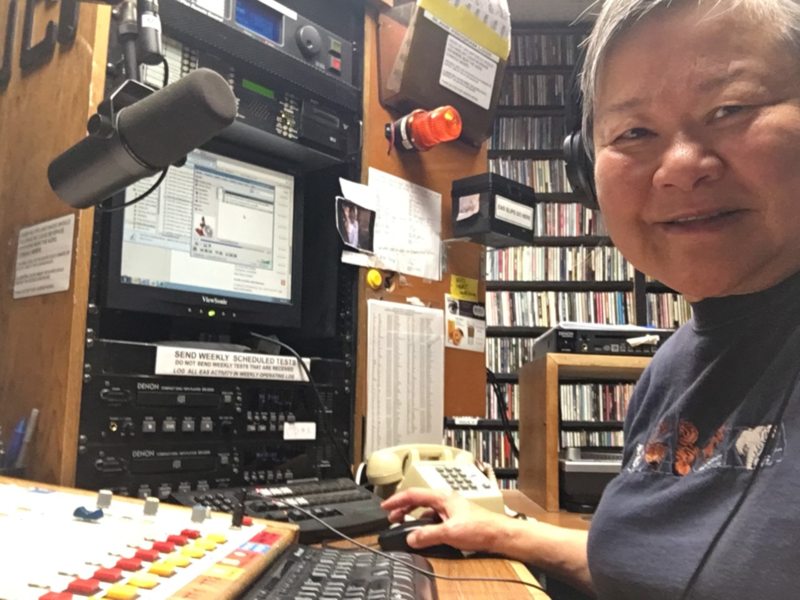 The show is broadcast on the UC Irvine public radio station every Thursday morning at 8:30 a.m. from the on-campus UCI radio studio; however, podcasts (digital audio files) of each show are available on-demand on the UC Master Gardener Program of Orange County public website. Clientele enjoy this easily accessible method of getting gardening information and expert tips. Dig it, Grow it, Eat it is a two part portable field trip that engages school-age youth in learning about garden ecology and interdependence. UC Master Gardeners of Marin County lead learning stations that focus on growing edibles from seed to harvest. Students learn about edible plant parts, seed science, propagation, soil science, and pollination. These concepts teach and utilize mathematical skills and botanical concepts including germination and dissection. UC Master Gardener volunteers meet with classroom teachers before and after the field trip to help them learn about the science on display and conduct follow up lessons back in the classroom. Evaluation shows that Dig it, Grow it, Eat it increases knowledge of growing edibles, scientific method, healthy eating, happiness in gardens and the diversity of plants. In response to inquiries from local schools and community groups asking for UC Master Gardener volunteers to provide hands-on garden education for youth Amador County UC Master Gardeners launched three successful youth programs. To address this need for youth education volunteers began assisting with field trips, public classes and a 4-H project. The program goal was to reach 200 young people in 2015 and have every 5th grade class in Amador County offer a field trip to a local farm. 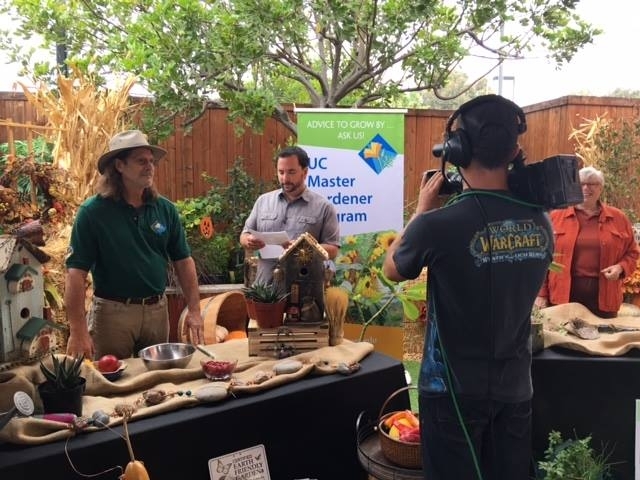 UC Master Gardeners collaborated with a variety of locations throughout the county including the UC Cooperative Extension office and teaching garden, Amador County Fairgrounds for Farm Day and Hundred Acre Farm. UC Master Gardeners partnered with local schools, Farms of Amador and the 4-H Youth Development Program. In response to the Asian Citrus Psyllid (ACP) threat, the UC Master Gardeners of Ventura County created an outreach and education program that includes speakers. ACP and the Huanglongbing (HLB) disease that it vectors has the potential to destroy the citrus industry in California; which produces 41% of all citrus grown in the United States, generating in excess of $3.4 billion in revenue. 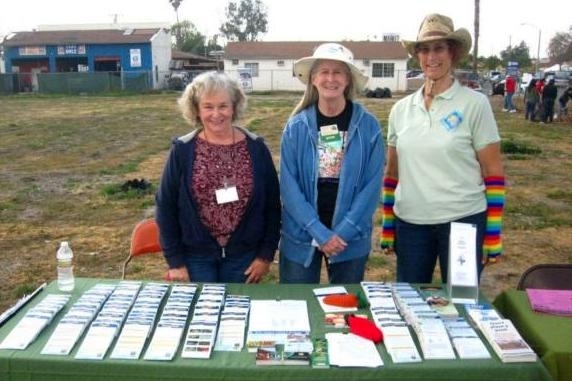 Through partnering with local agencies and taking advantage of speaking events UC Master Gardeners are distributing printed ACP/HLB information as well as attending neighborhood meetings to educate the public. The UC Master Gardener Program provides the public with UC research-based information about home horticulture, sustainable landscaping, and pest management practices. It is administered by local UC Cooperative Extension county-based offices that are the principal outreach and public service arms of the University's Division of Agriculture and Natural Resources (UC ANR). The UC Master Gardener Program is an example of an effective partnership between the UC Division and passionate volunteers. 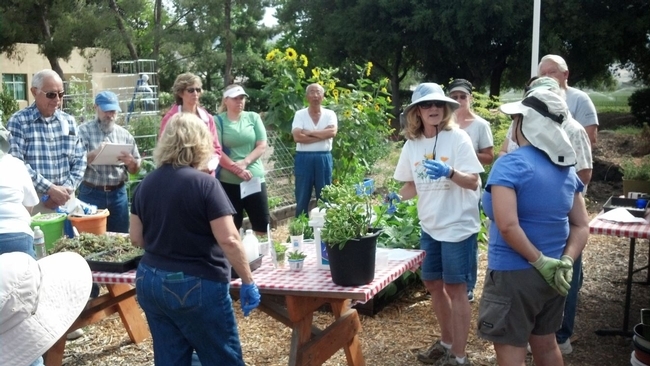 In exchange for training from the University of California, UC Master Gardener volunteers engage the public with timely gardening-related trainings and workshops. With programs based in 50 California counties and 6,297 active members, UC Master Gardener volunteers donated more than 328,540 hours last year and have donated more than 5 million hours since the program inception in 1981. As we are gearing up for the 2017 UC Master Gardener Conference in Long Beach, we thought we would highlight past winners of the Search For Excellence competition. Every three years the UC Master Gardener Program hosts a Search for Excellence (SFE) competition looking to recognize projects that exemplify the incredible impacts programs are making across the state. If your program is interested in showcasing projects happening in your county, you can find more information about the Search for Excellence competition on the 2017 conference website. The application deadline is May 1, 2017. 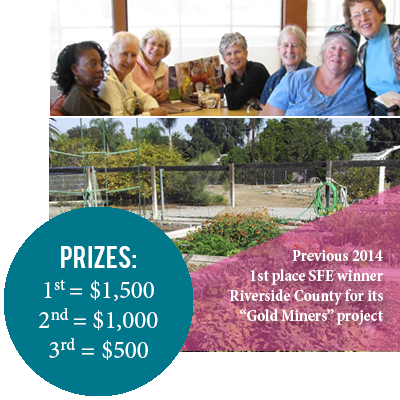 In 2014, UCCE Master Gardeners of Riverside County took first place for their Gold Miners Program. There's Gold in them thar hills! Riverside County is a big county, stretching from the Los Angeles metro area to the Colorado River. The main challenge of the UCCE Master Gardener Program of Riverside County was how to better fulfill their mission of educating their community on sustainable gardening practices. The answer - Gold Miners. Before this, there was very little UCCE Master Gardener activity in any part of the county except the area around the city of Riverside. Each representative of an area is referred to as the Gold Miner, and they are charged with finding the “golden” opportunities to volunteer in their areas. Right away we realized that the Gold Miner from each area would need to have their own Information box, EZ Up style awing, table cloth, banner, and table so that they did not have to drive to the UCCE Office to set-up an information table each time. It took some time, but the UCCE Master Gardener Program has provided most of this to all of the areas over the past six and a half years. Among the responsibilities of each Gold Miner is to house these properties and to refill their information boxes with brochures, etc, for the events in their area. UCCE Master Gardeners can pick-up information boxes from the Gold Miner in their area for an event. The Gold Miners meet monthly from September – June of each year on the fourth Thursday of the month to discuss ideas and concerns and report on their activities. Besides looking for new opportunities for UCCE Master Gardeners to volunteer in their areas, they are responsible for finding volunteers for these events and any others that may become available through other sources. Although the most common way to inform and procure volunteers for activities is through VMS, often they will call UCCE Master Gardeners in their area to ask for help. The Gold Miner is not responsible for volunteering for activities themselves (unless they want to), but for making sure there are volunteers for approved events. There has been a lot of cooperation between the areas over the last six and a half years to make sure events have the volunteers they need. I am extremely appreciative of the wonderful UCCE Master Gardeners who have volunteered their time these past years to create and grow this project. Because of them we have greatly increased the number and quality of events that are staffed by UCCE Master Gardeners of Riverside County. As an outcome of providing more services to the county, more people found out about the UCCE Master Gardener Program and wanted to volunteer to be one. 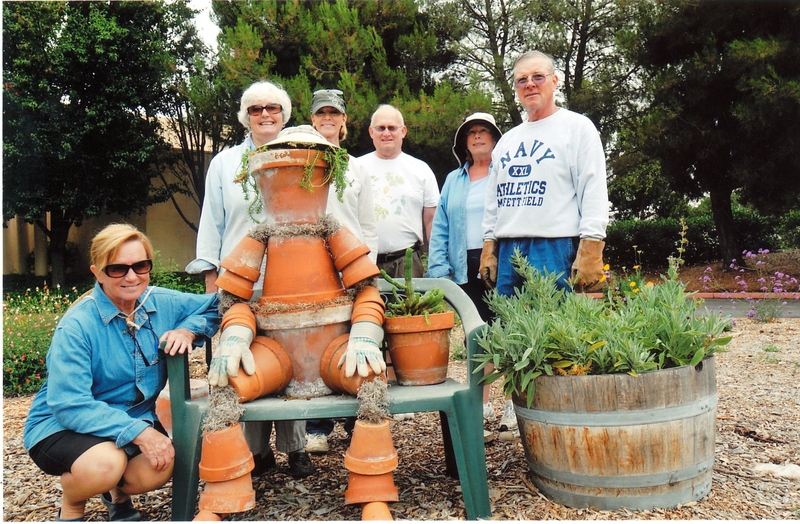 UC Master Gardener volunteers that were part of a river-friendly garden project in Lodi, Ca. pictured from left to right: Curt Juran, Anita Herman, Sharon McDonnell, Kathy Grant. and Lodi Mayor, Bob Johnson. Looking to showcase the amazing projects happening in your county? Entries for the Search for Excellence (SFE) competition are now being accepted for the 2017 UC Master Gardener Conference! The conference is taking place August 23-25, 2017 at the Long Beach Hyatt and Long Beach Convention Center. UC Master Gardener volunteers, program coordinators and advisors from around the state are invited to submit their innovative educational and outreach projects by the May 1, 2017 deadline. The stakes have been raised and the prizes are bigger than ever before! For the first time the grand prize winner of the Search for Excellence awards will receive $1,500 for their county program. Second place winner receives $1,000 and third place winner receives $500 for their county program. UC Master Gardener volunteers from San Diego County present "Fall Plant Extravaganza". Pictured from left to right: Mike Harrelson, KUSI host and Lucy Warren. The top three winners are individually recognized and celebrated at the conference during the awards banquet dinner. Winners are given the opportunity to present the details of their project to fellow UC Master Gardener volunteers from across the state. Prizes are awarded to the top three highest scoring entries among seven categories. UC Master Gardener volunteers getting youth excited about science and horticulture at AgVenture Day. Outreach and making an impact in local communities should be the focus of the entries, which will be judged by a team of gardening and horticultural experts selected from throughout the state. Projects eligible for consideration must take place in California, be connected to the UC Master Gardener Program and have been completed between 2013-2016. All applicants, regardless of award status, are strongly encouraged to submit a poster for display at the conference as an opportunity to share their ideas with other county programs. Winners to be announced June 2017. We look forward to learning about the creative and impactful projects from counties big and small! UCCE Master Gardener of Santa Clara County displays their recent harvest from their demonstration garden at St. Louise Hospital in Gilroy, Calif.
UC Master Gardener programs in Riverside, Santa Clara, Orange and San Diego counties have won the program's Search for Excellence competition, announced Missy Gable, director of UC's statewide Master Gardener Program. The triennial Search for Excellence awards afford county programs the opportunity to share successful projects, including demonstration gardens, workshops, presentation or hands-on programs, community service, horticulture therapy, research or youth programs. Educating the public was the focus of the Search for Excellence 2014 competition. The entries were judged by a team of experts selected from throughout the state. "Congratulations to all the Master Gardeners involved in carrying out these innovative projects," Gable said. "This competition celebrates the hard work of dedicated UCCE Master Gardener volunteers across the state." The Search for Excellence competition winners will be honored at the 2014 UC Master Gardener Conference, Oct. 7-10 in Fish Camp, Calif. The next Search for Excellence competition will be in 2017. 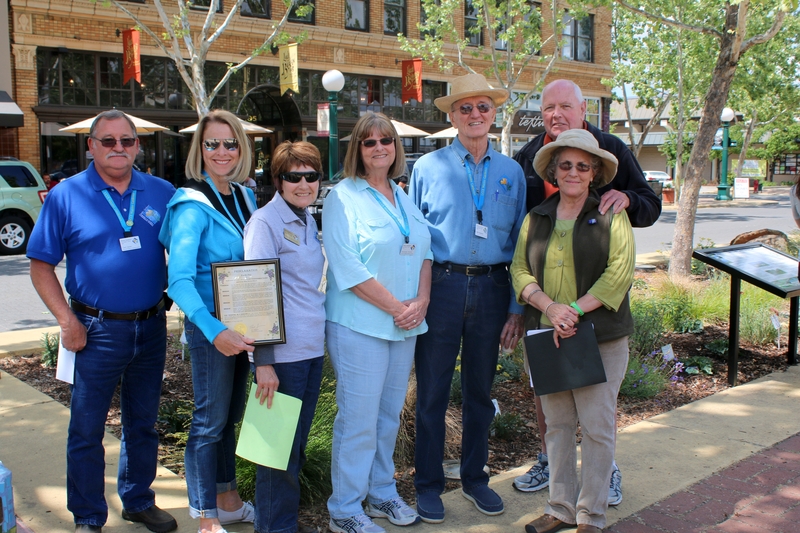 First place winners of the triennial Search for Excellence Awards in California, UCCE Master Gardeners of Riverside County, extended outreach into all corners of their local community. “There's Gold in them thar hills!” Riverside County is a big county, stretching from the Los Angeles metro area to the Colorado River. 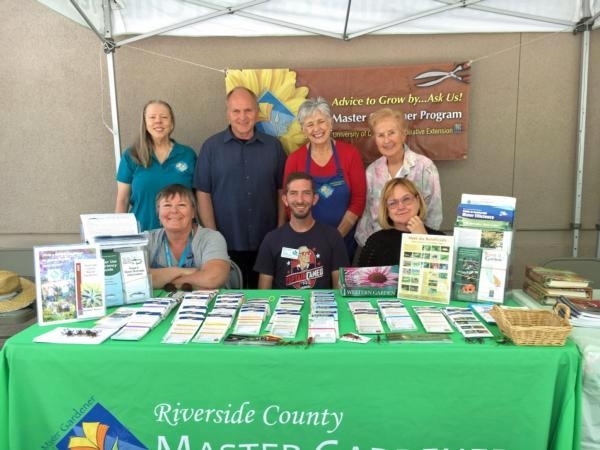 The main challenge of the UC Master Gardener Program of Riverside County was how to better fulfill their mission of educating their community on sustainable gardening practices. The answer – “Gold Miners.” Riverside County was divided into nine geographic areas with a UC Master Gardener volunteer in each area actively pursuing volunteering opportunities for their peers. Since the program began in 2011, “Gold Miners” has increased the presence of UC Master Gardeners throughout the county, giving volunteers the opportunity to provide outreach closer to home, engage new members of the public and increase the number of certified UC Master Gardeners from all regions of the county. UC Master Gardeners of Santa Clara County developed a one-acre teaching and demonstration garden on the grounds of St. Louise Hospital in Gilroy. The demonstration garden was designed to create educational outreach opportunities in the far southern portion of the county. UC Master Gardener volunteers provide hands-on public workshops in the garden as well as classes in both the hospital boardroom and community libraries. The objectives of the St. Louise Hospital garden includes teaching residents about low-water vegetables, fruits, and ornamental plants well-suited to local growing conditions, and modeling sustainable gardening practices reflective of UC research-based horticultural principles. UCCE Master Gardeners of Orange County developed a series of step-by-step composting videos features everything from how to get started to troubleshooting a pile or worm bin. 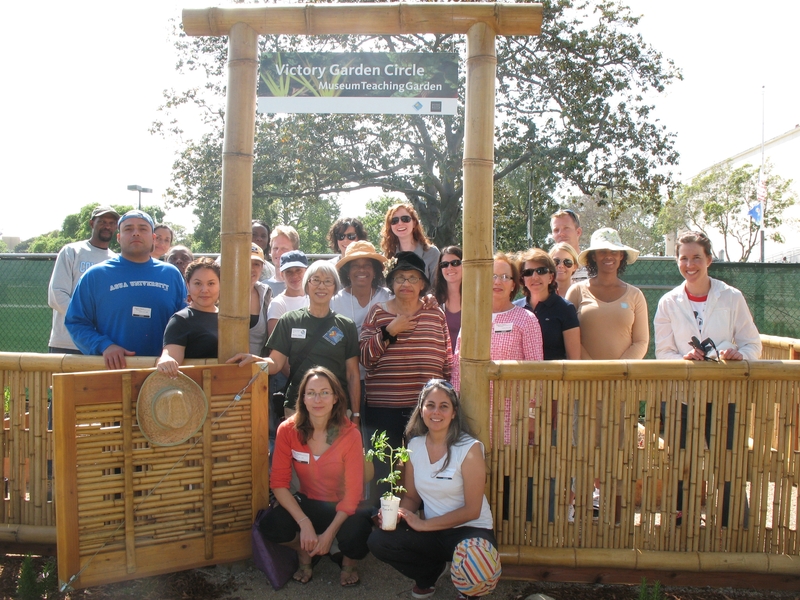 Passionate volunteers from the UC Master Gardener Program of Orange County developed a series of 15 educational videos. Nine videos provide a comprehensive overview of the composting process and six videos concentrate on worm composting. 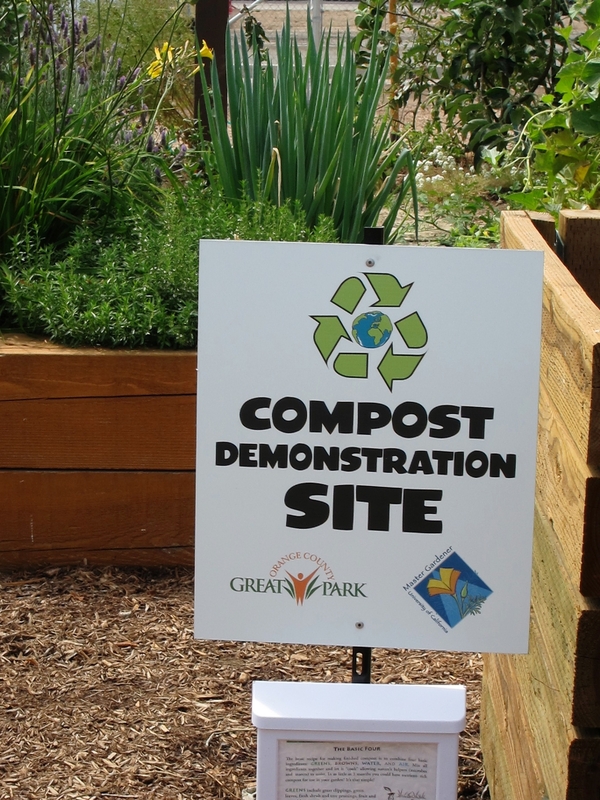 Each series begins with an explanation of what composting is and shifts into how to start, maintain and troubleshoot a compost pile or worm bin. The videos are designed to instruct and encourage the gardening public to compost either at home or in community gardens. All of the educational videos were filmed and narrated by UC Master Gardeners. The videos are published on the UC Master Gardeners of Orange County public website. 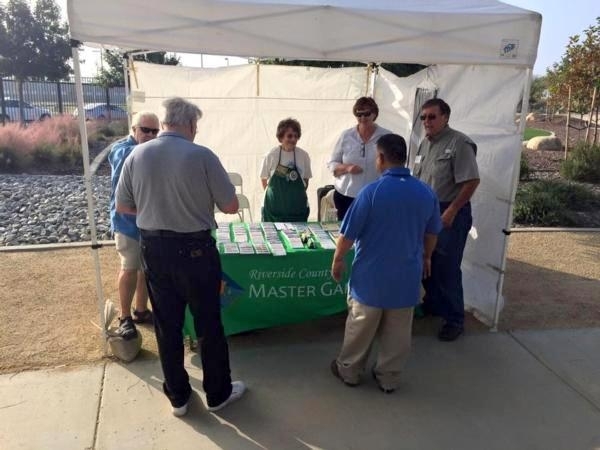 Recognizing the need to reach a significantly larger number of home gardeners than demonstration booths and Farmers Market tables were engaging, the UC Master Gardeners of Orange County developed a speakers bureau. The criteria was simple: fulfill the mission of disseminating up-to-date, research-based information and to deliver "wow" presentations for the public. 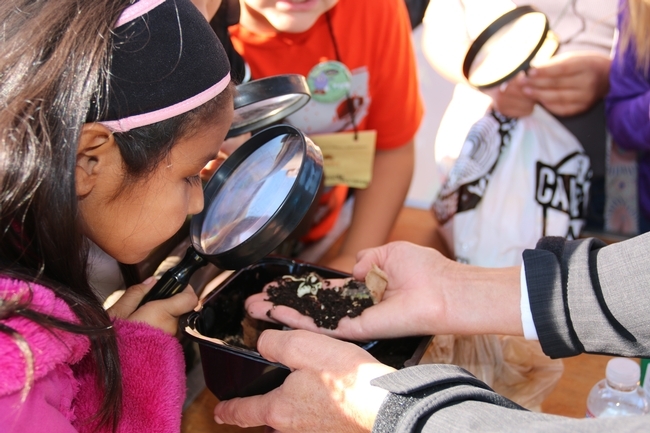 UC Master Gardeners created teaching plans, incorporating the statewide program mission and the ANR Strategic Vision to cover important topics such as gardening for improved nutrition and healthy living. Additionally, the UCCE Master Gardeners of Orange County engaged the help of Toastmasters International, an undisputed authority for training speakers. UC Master Gardeners of San Diego County created a program called MG Growing Opportunities (MG-GO) which provides research-based horticulture education to teenage youth involved with the juvenile justice system. Under the guidance of UC Master Gardeners and a vocational horticultural therapist, incarcerated youth learn about ecosystem friendly, sustainable gardening. In the process, the youth acquire vocational and life skills, such as teamwork, problem solving, self-esteem, and leadership. The goals of MG-GO are to introduce sustainable gardening practices to an under-served population, highlight gardening as a healing endeavor, and develop a replicable model for statewide use. The UC Master Gardener Program provides the public with UC research-based information about home horticulture, sustainable landscaping, and pest management practices. It is administered by local UCCE county-based offices that are the principal outreach and public service arms of the University of California Division of Agriculture and Natural Resources. The UC Master Gardener Program is an example of an effective partnership between the UC Division and passionate volunteers. In exchange for training from University of California, UCCE Master Gardener volunteers engage the public with timely gardening-related trainings and workshops. 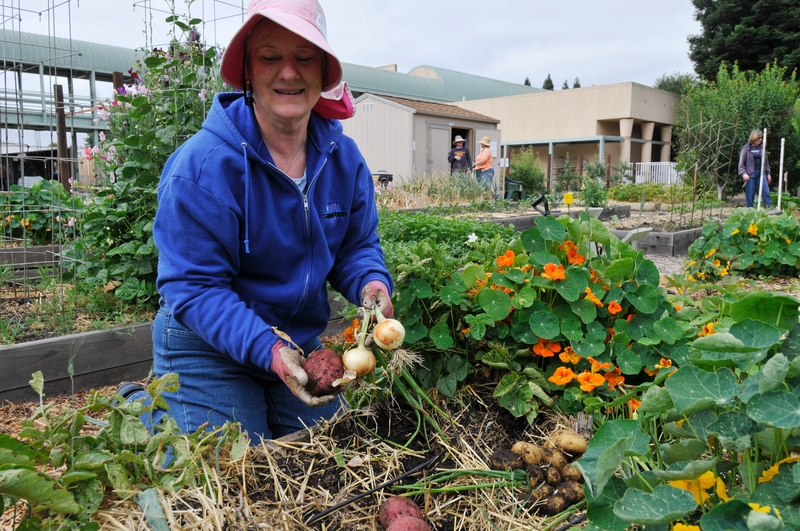 With programs based in 50 California counties and 6,048 active members, UC Master Gardener volunteers donated 385,260 hours last year and have donated more than 4.2 million hours since the program inception in 1981.